Luke vs. His Subconscious -- Be Warned! This is not a very interesting blog! This page will be for archiving download links for games and other software that I developed either on my own or in conjunction with others. I collaborated on this game with my two brothers for the 2013 Indie Speed Run. We had to complete the game in 48 hours or less, and it had to fit a pair of variables that were randomly assigned to us. Our variables were "playing dart" and "combination," and I think the final product really fit with those ideas well. 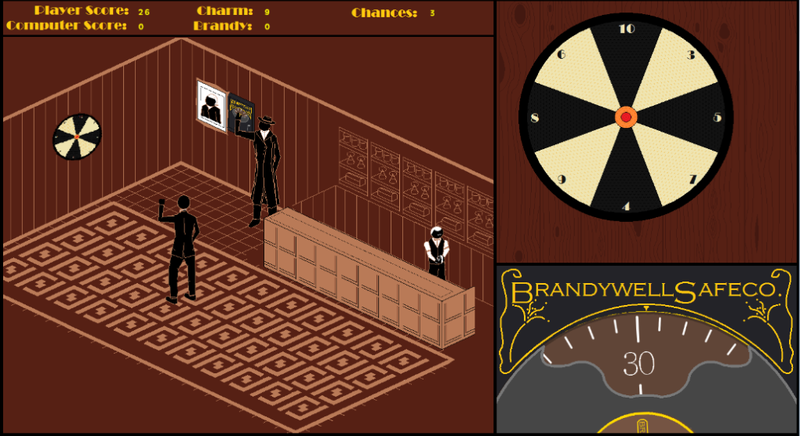 You play as a thief attempting to crack the safe in Lord Clubbington's gentleman's club. Unfortunately, the only way to get close enough to the safe without stirring up suspicion is to enter the annual darts tournament held in the club and work the safe while it isn't your turn at darts. To make matters worse, the bartender seems to think he's being paid to keep a careful eye on that safe, so you'll have to work the safe only while he is occupied elsewhere. 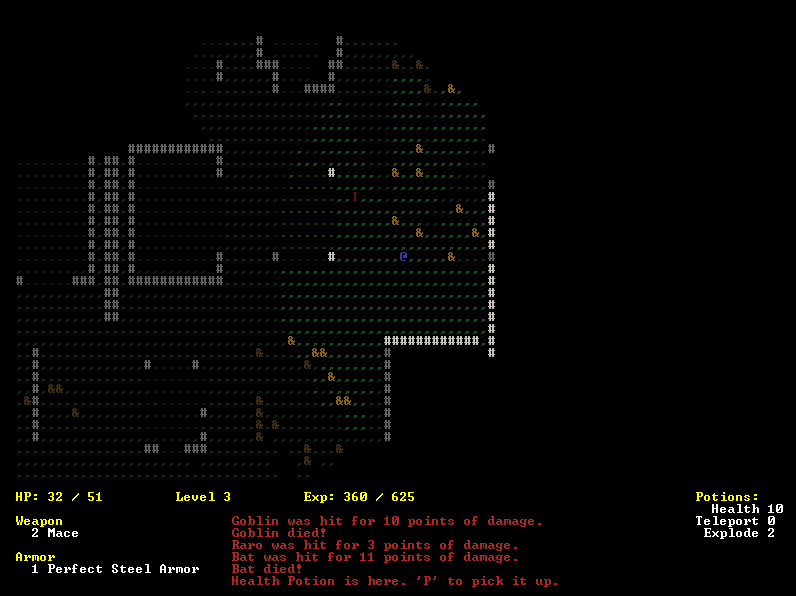 My entry in the 2013 7DRL (Seven Day Roguelike) Contest (see here, here, and here for info on the contest and roguelikes in general). 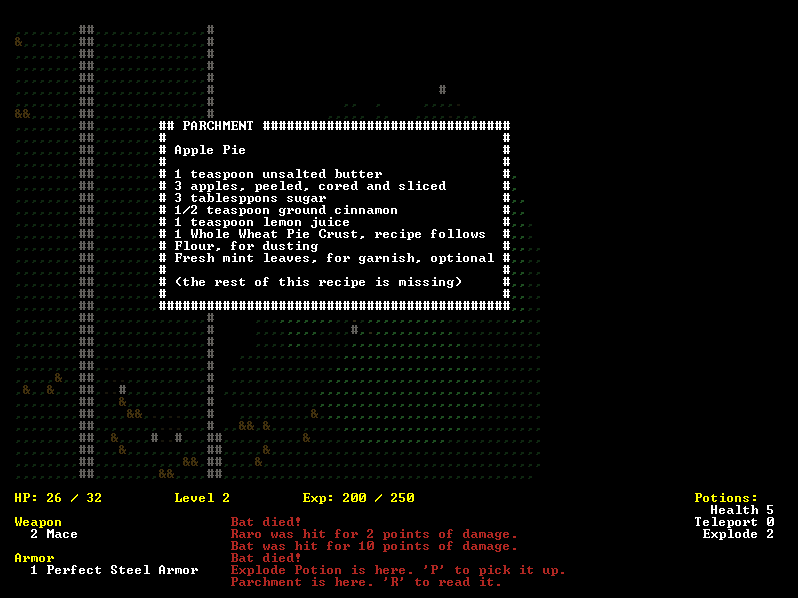 It's a pretty standard roguelike as far as 7DRLs go, but I think there's some interesting backstory elements in there, so I think it's worth a look. Download here. The source code is available here.